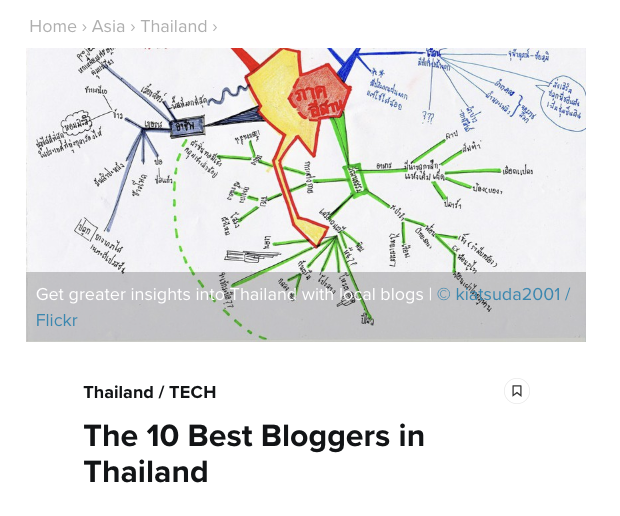 A friend is going to Astoria, Oregon, and asked for my advice, hence an excuse to repurpose this story I have published in Thai a while ago. Astoria is a port town, a cannery town, and a town where the cloudy mist is perennial. People who like it sunny and vibrant might find this place too wet and sludgy. But if you like it murky, dreamy, rainy, and cloudy, and adore the squeaky sounds of the squeegees, Astoria will be a perfect choice for a do-nothing, laid-back, staring-in-the-clouds kind of vacation. Astoria – as you might have guessed – was named after John Jacob Astor of the Astors and the beginning of all things ‘Astoria’ that we know of today. Back in the day (around the early 1800s), the Pacific Northwest of the US was a real uncharted territory and the Columbia River was known as one of the most treacherous waters – a fatal challenge for anyone to navigate their ships along to the inner course. This place used to be so abundant with furs, fishes and timbers that it made a lot of people astronomically rich. Astoria is the first US permanent settlement on the Pacific coast and the first U.S. post office west of the Rocky Mountains. One thing you’d see a lot in Oregon is the word ‘pioneer’ and that clearly related to the time when the West here was the final frontier of all the US lands. We are talking about the 18-19th centuries when people were moving West for better opportunities. Pioneers are those who made it first, hence pioneering the routes and lands for other to follow. John Jacob Astor whose base was in New York sent a hunting and trading squads over here back in those early days in a hope to scout for fresh abundant lands, and he succeeded. His company ‘American Fur Company’ founded fort Astoria in 1811 and began their expanding fur trading expeditions. 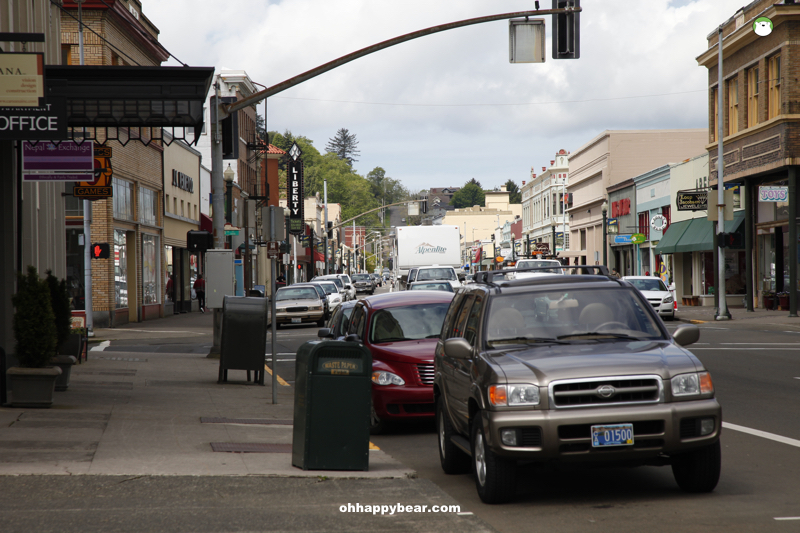 Comparing to other seaside towns of Oregon, Astoria is the most vibrant of all. And cultured, too. But still, this is a small town, the one that should take you comfortably about two days to visit everything. Or most things. The city is framed by three major streets: Marine Drive, W Bond, and Commercial. You can just walk around like we did and take your time browsing through their quirky personalities. 1. Astoria Heritage Museum on Exchange street is where you will learn all about Astoria’s histories. 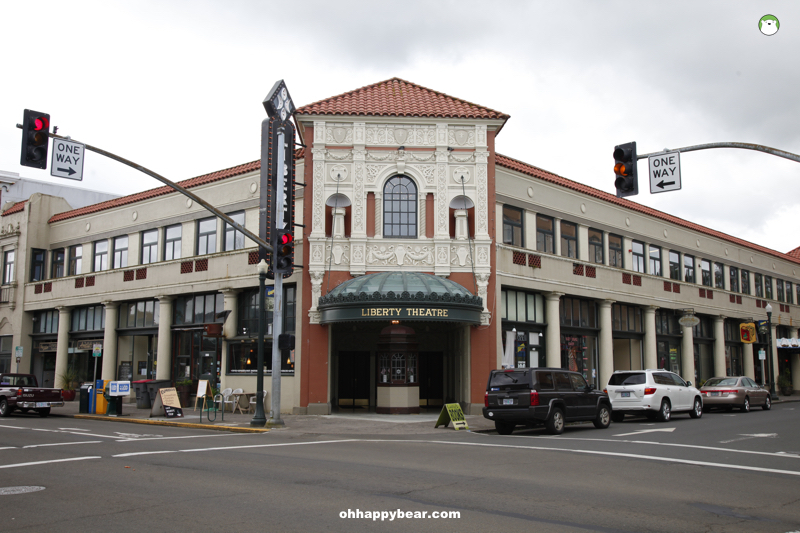 Set in the former City Hall’s neoclassical building designed by prominent Portland architect Emil Schacht in 1904, the museum houses century-old hunting implements, 19th century Chinook and Clatsop Indian baskets, and a sea otter pelt and beaver hat which illuminate the early history of Fort Astoria. 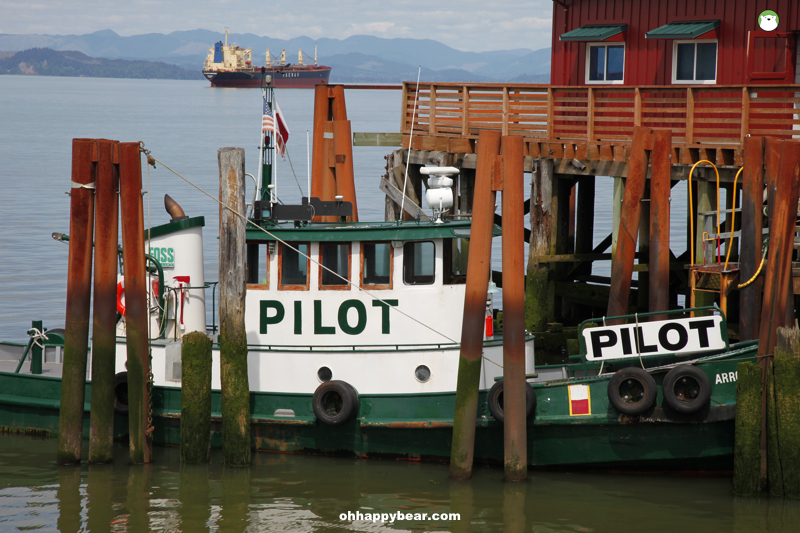 You will also learn all about logging and fishing – the two economic mainstays of Astoria since 1870. A great small museum. $4 (adult) $2 (junior). Winter hours (Oct-Apr) Tue-Sat 11.00 – 16.00, Summer hours (May – Sept) Daily: 10.00 – 17.00. T: (503) 325-2203. 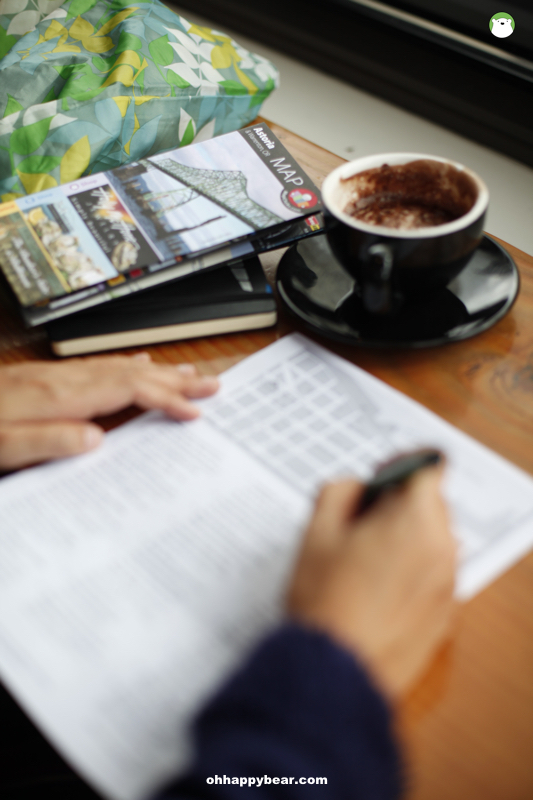 Above: Me planning the trip over a cup of hot chocolate at the Street 14 Cafe, Astoria. 2. 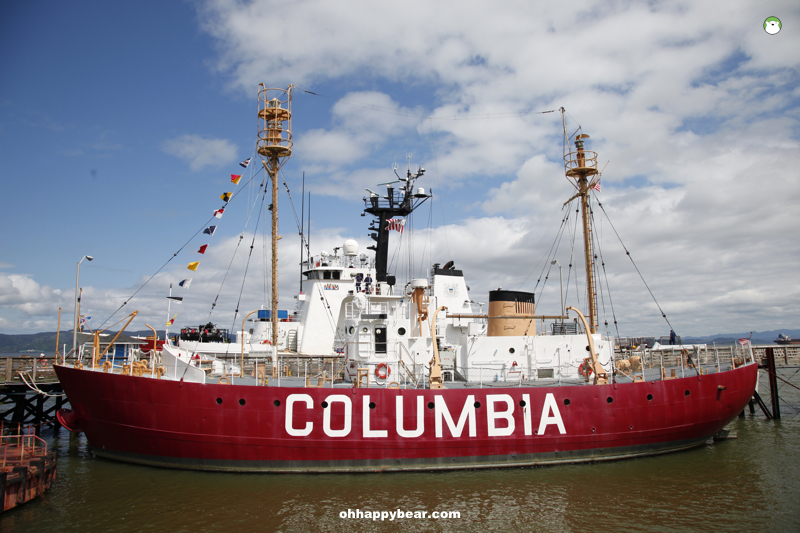 Columbia River Maritime Museum – a must especially if you are in town with children. This private nonprofit museum supported by visitors and contributors has the largest collection of Pacific Northwest maritime artifacts. A modern museum with interactive displays, among them arrays of ships and boats that can withstand the notorious tides of the Columbia River, the crucial work of bar pilot and their famous “CG-44300 Motor Lifeboat” that is the prototype to many following lifeboats created just to withstand the world’s mighty waters. $14 (adult), $5 (6-7 years): daily: 9.30 – 17.00 (closed only on Thanksgiving and Christmas). T: (503) 325-2323. 3. 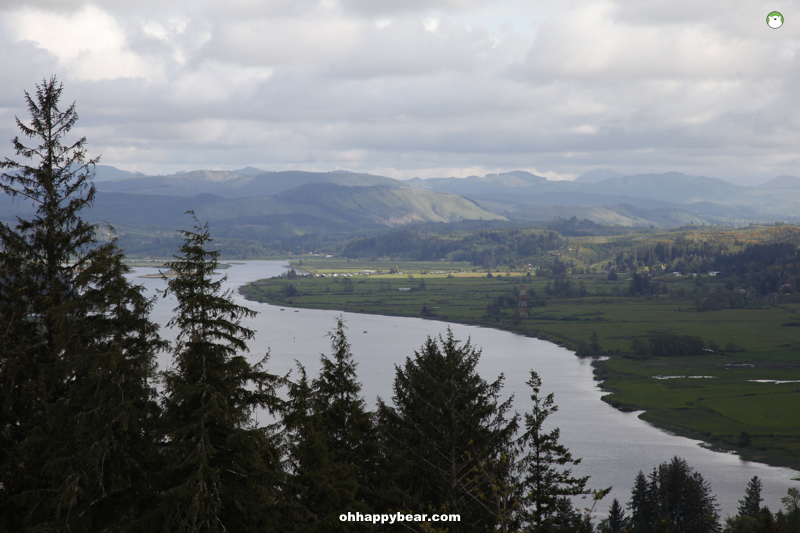 Astoria Column – a perfect perch for Astoria overview. The column itself is a Roman-style set on top of Coxcomb Drive which is 600 metres above the sea level. Completed in October 1926, the column features hand-painted artworks that celebrated the early settlers that later led on to the US expansion with railroad constructions. At the top of Coxcomb Hill is where you can observe the whole of Astoria, in all its famous misty and windy states. We just loved it. Totally our vibes. No entrance fee, but $5 per car for parking. From dusk until 22.00 Gift Shop Hours April – September, 9:00 am to 7:00 pm, October – March, 10:00 am to 5:00 pm. Closed Christmas Day and New Year’s Day. T: (503) 325-2963. 4. 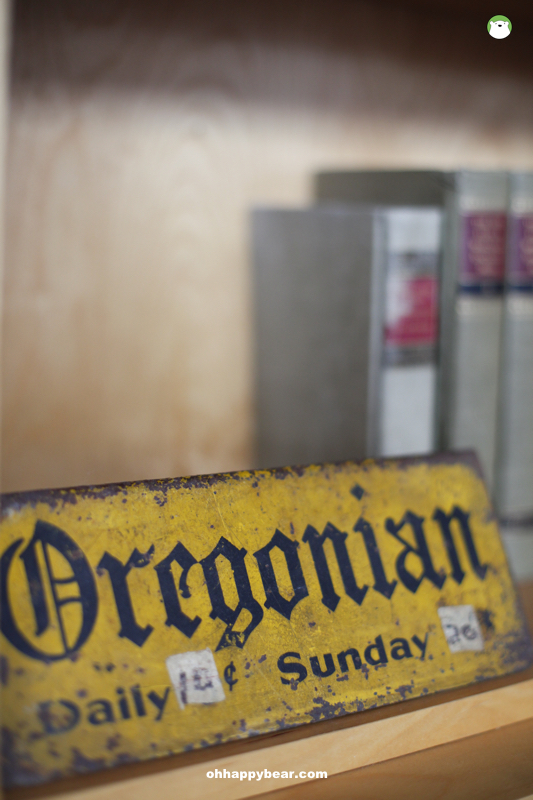 Cargo – an outshoot from PDX, this is an eclectic shop for home interiors, quirky fashion and accessories. 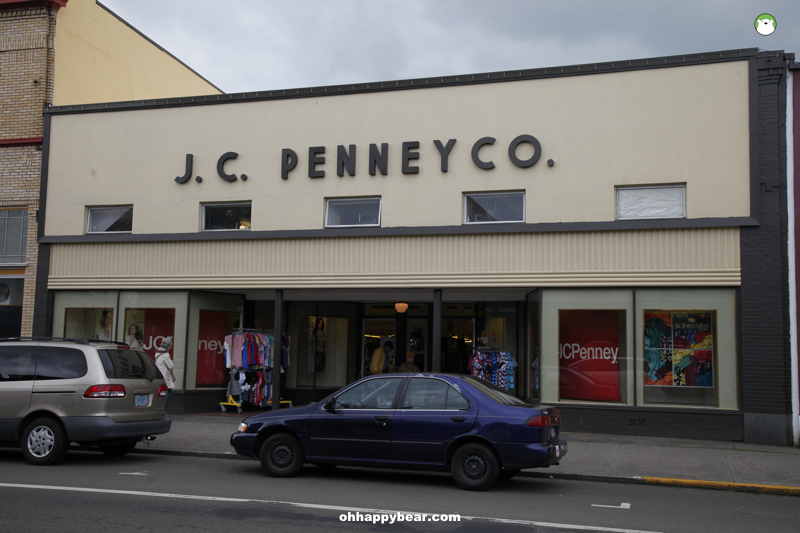 A great funky retail place for a walk-in browsing. 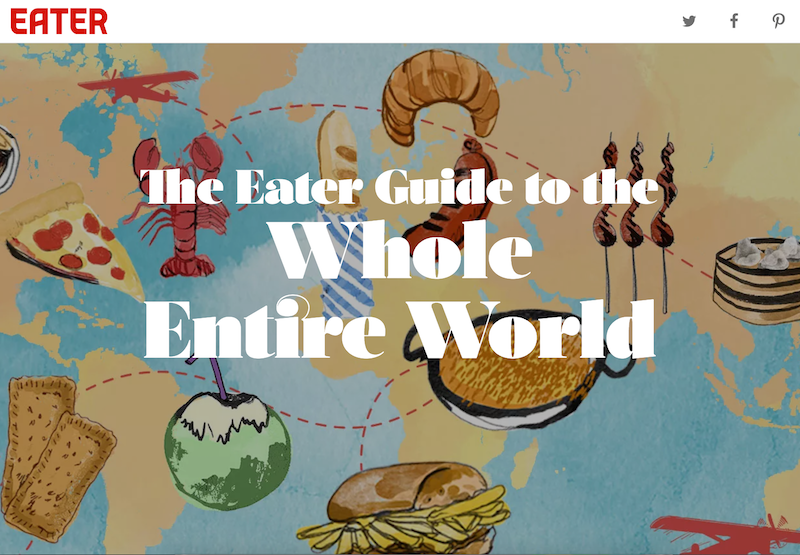 Compared to the size of its vicinity, Astoria is totally packed with good foods. 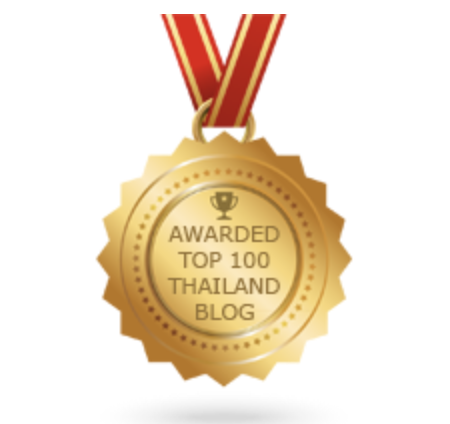 Bakeries, cafes, breakfast places, restaurants – quirky and fine-dining. Also, we found a lot of people originally from Portland moved over for even more peace and quiet. Here are our recommendations. So want to go back for the chowders and fish and chips. 1. 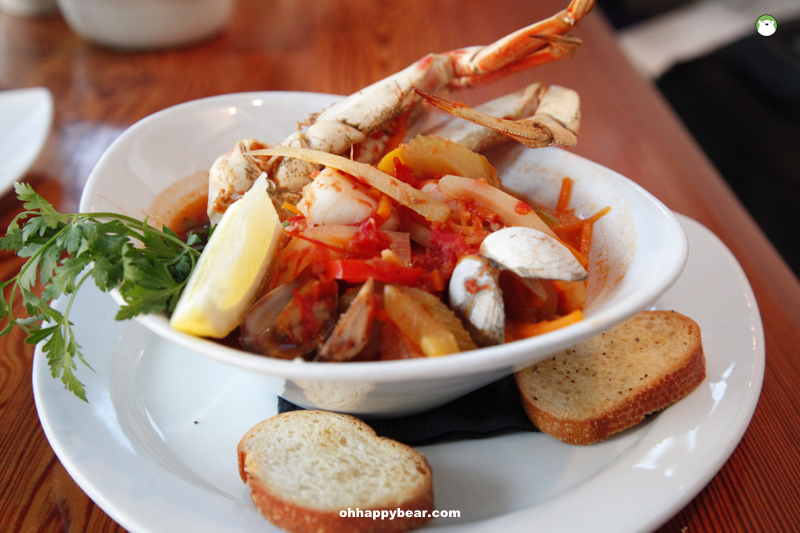 Blue Scorcher – vegetarian place focusing on local produce. Superb coffees and breakfast. 2. 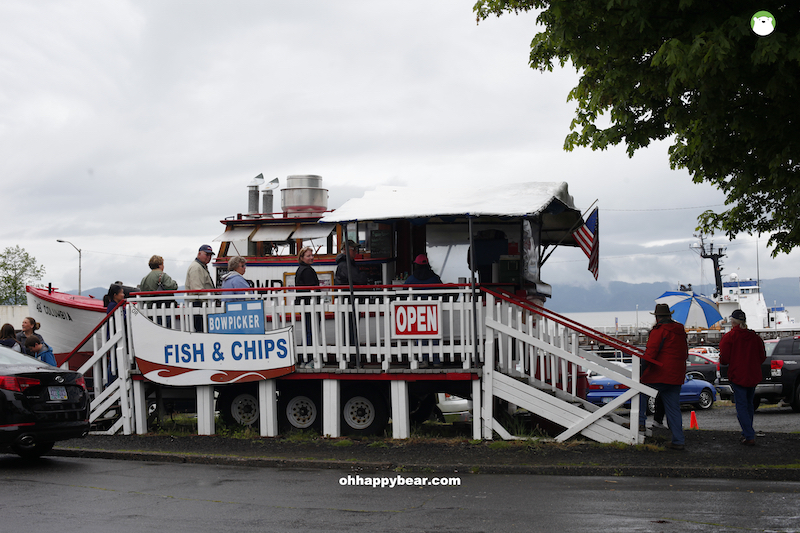 Bowpicker – Perhaps the most coveted fish and chips in town. 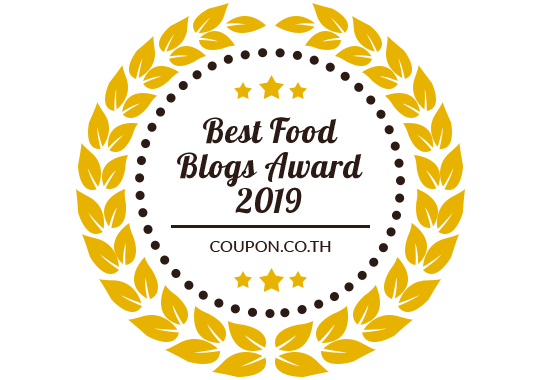 Cooked fresh from the converted gillnet boat are chunks of Albacore tuna lightly beer-battered and fried, steak fries served with malt vinegar and healthy scoop of tartar sauce. Open Wed thru Sat 11ish to 6 and Sun 11 to 4. 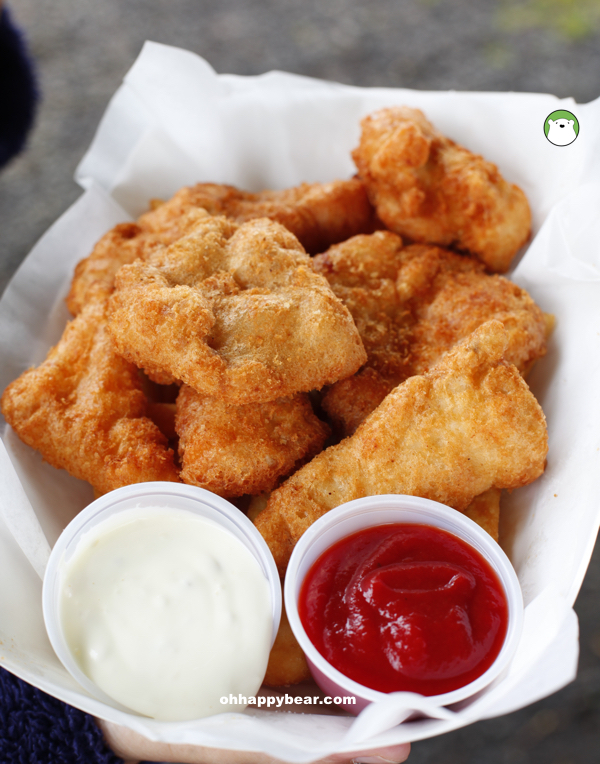 Weather permitting and unless we run out of fish first. 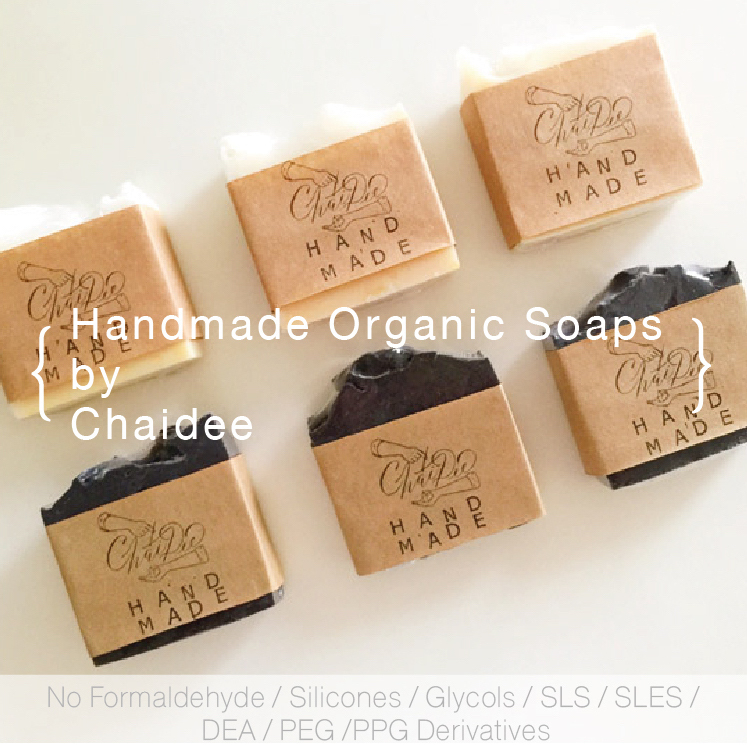 (check their Twitter for the latest hours). 3. 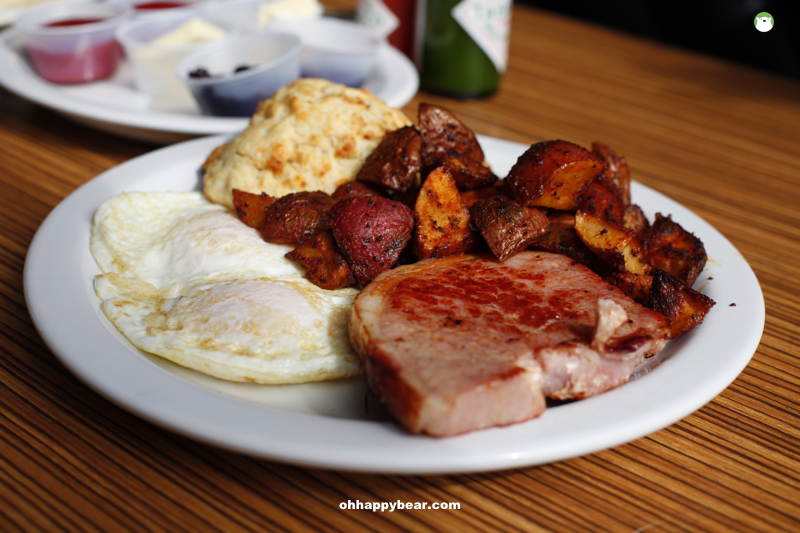 Astoria Coffeehouse & Bistro – our haunt for hearty breakfast, American style. Two eggs, sunny side up, giant rings of puffy pancakes, warm biscuits, thick-cut ham and sausages, and hash browns. 4. 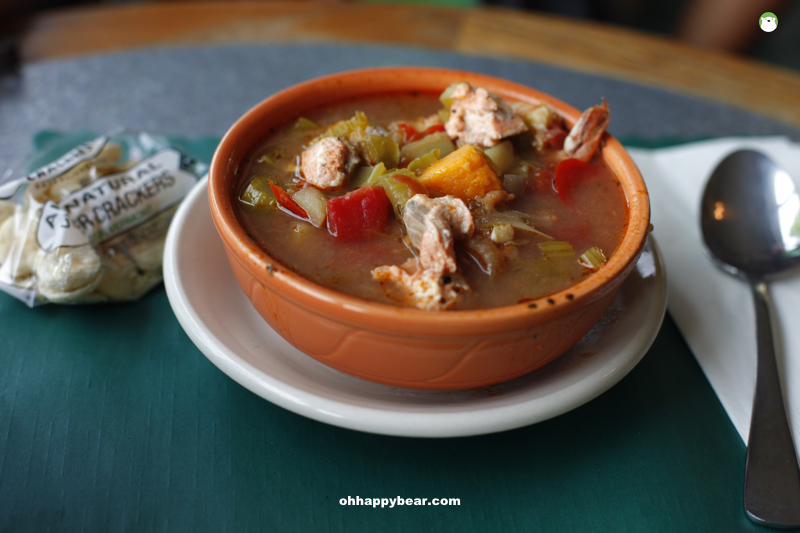 Charlie’s Chowder and Coffee House – a PNW-style quirky place best known for their super delicious homemade chowders. Liked both the Bostonian style cream and Manhattan style tomato-based. 5. Street 14 Café – at the corner of 14th street is this cafe with all things Oregonian as its interior decors. 6. 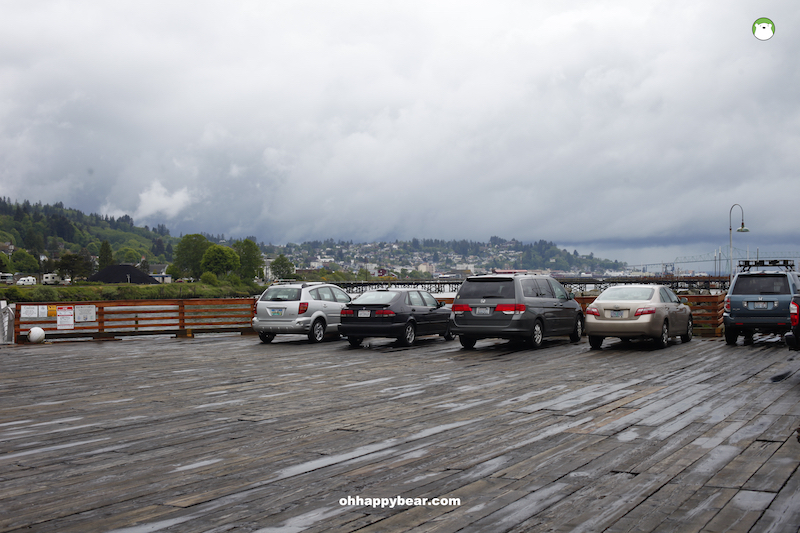 Pier 39 – a little bit out of town area. But this is Astoria’s oldest building still standing. This is where the Bumble Bee Seafoods used to be. 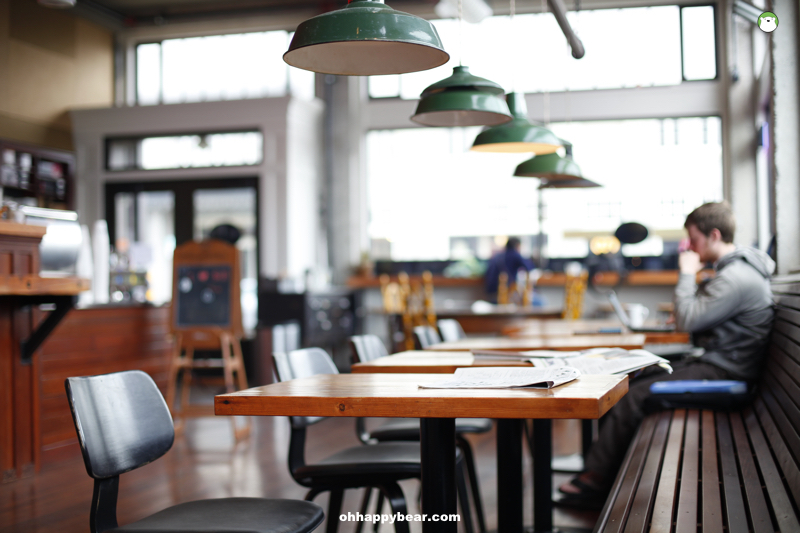 Now there’re Rogue Ales Public House, Hanthorn Cannery Museum, the Coffee Girl Cafe and Pier 39 waterfront hotel. Above: Dungeness crab chowder at Bridgewater Bistro for dinner. 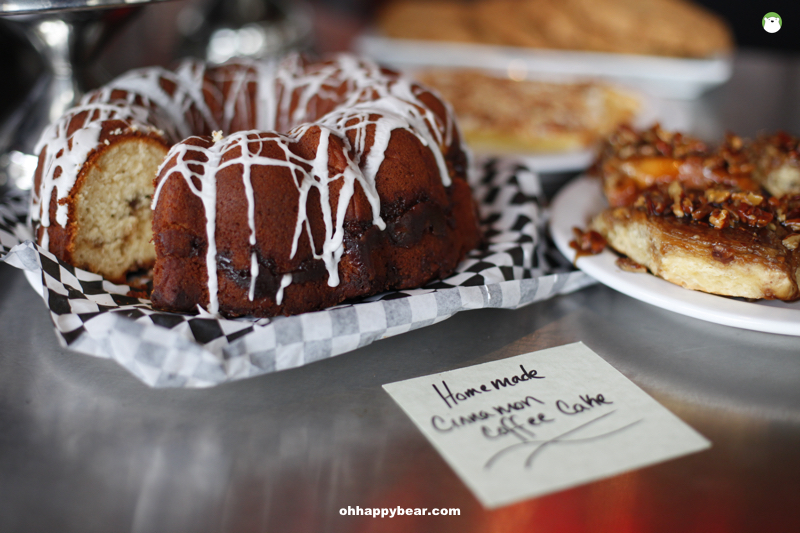 Above: A real hearty breakfast at the Astoria Coffeehouse & Bistro. Above: The Street 14 Cafe, Astoria. Above and below: Bowpicker, the place and the food. Above: Manhattan style clam chowder at Charlie’s. 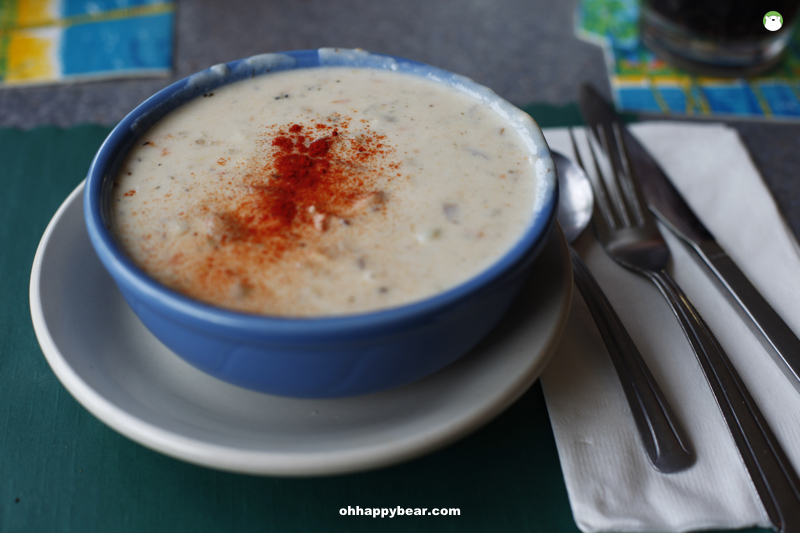 Below: Bostonian style chowder, also at Charlie’s. 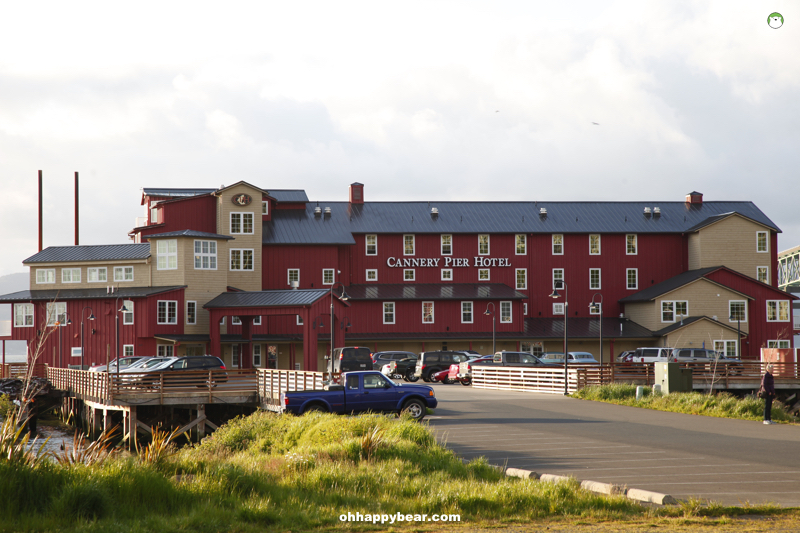 The Cannery Pier Hotel is a luxury waterfront choice set on the 100 year-old pilings that formerly supported the Union Fisherman’s Cooperative Packing Company formed in 1897 as Astoria’s first fisherman-owned business and remained so until late 1940s. The hotel is pet-friendly with its deluxe room set right at the Columbia River, making it a perfect place for ship spotting. 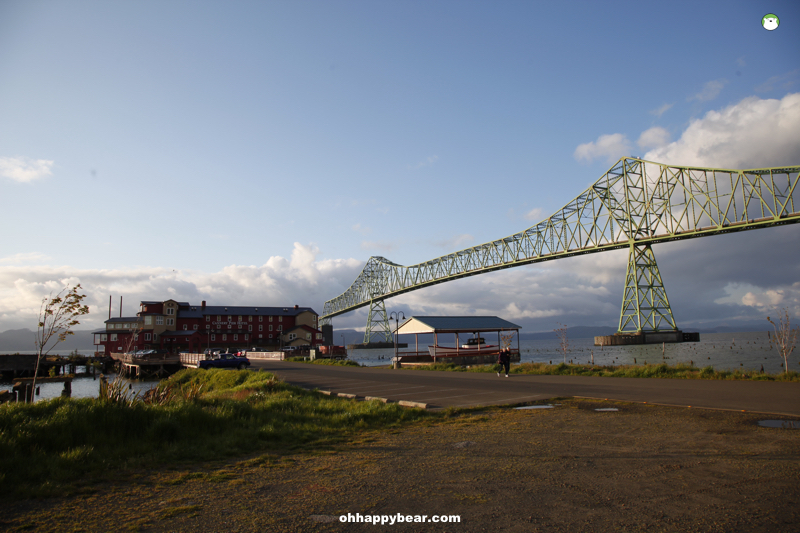 Above and below: The Cannery Pier Hotel with the backdrop being the Astoria-Megler Bridge that links Oregon and Washington States. 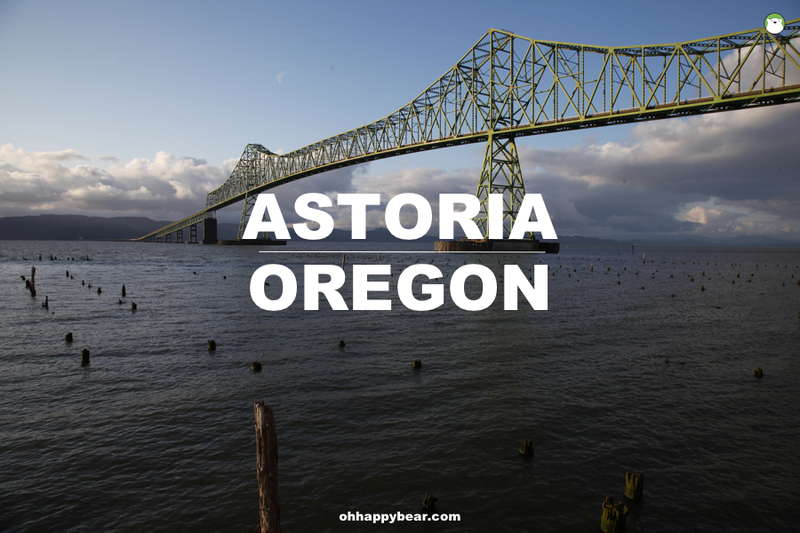 Astoria is located on the northwesternmost tip of Oregon state, about 100 miles from Portland, Oregon. 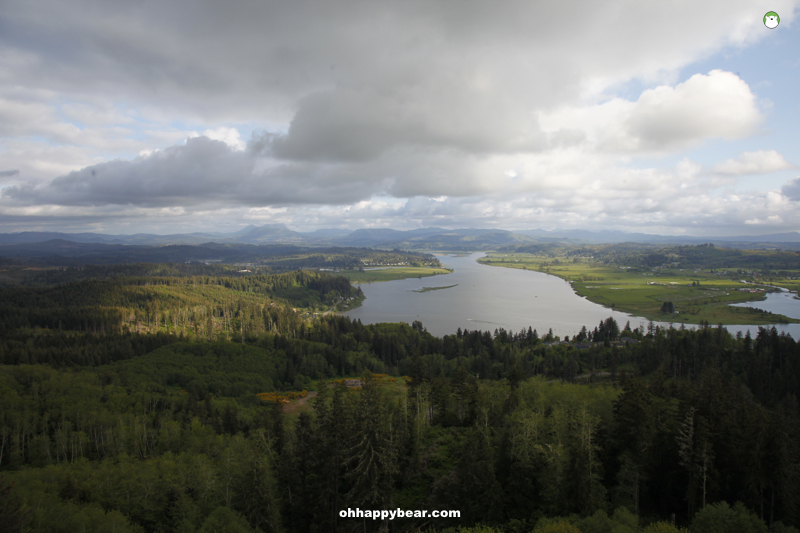 We drove in a loop from PDX, stopped by at the charming Blue Heron Cheese Factory for an easy cheesy lunch and then make another stop at the Tillamook Cheese Factory, for a free factory tour and indulge in their super cheesy ice cream.